The Shopping Annuity: Could This Change The Way E-Commerce Works? People today can buy almost anything online from anywhere in the world. With massive store closings, the world is moving at a fast pace toward online sales for every category imaginable. To no one’s surprise, entrepreneurs have been busily developing online business models that can attract a significant user base to earn revenue. The key to building a successful online business model, however, requires a roadmap and the right travel guide who knows how to avoid the inevitable pitfalls. Founder and CEO of both Market America and SHOP.COM, JR Ridinger, says he has spent years constructing such a roadmap and has been acting as the travel guide for a business model he calls the Shopping Annuity. The Shopping Annuity (@shoppingannuity) allows people the opportunity to earn from their own current spending by allowing them to participate in the economy of those transactions. According to Ridinger, there are five, critical components that will make the Shopping Annuity the economy of the future. 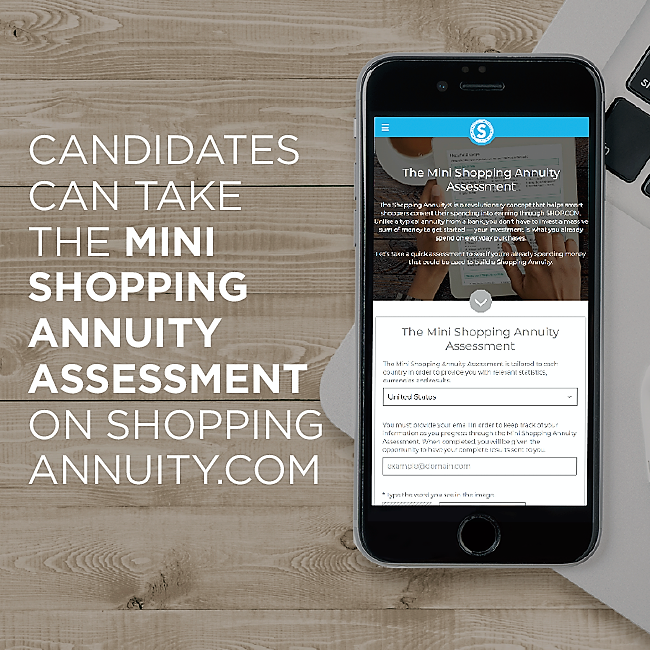 Information on shopping habits is collected and characterized to match people to product and product to people with the Shopping Annuity Assessment. The coming together of consumers to force prices down and increase the margin in the form of social currency, BV and IBV. A system that tracks and captures what each customer and UnFranchise Owner buys individually and collectively from each of our stores, brands and merchants. The Management Performance Compensation Plan (MPCP) rewards each UnFranchise Owner with BV and/or IBV for the shopping and sales created individually and collectively and then pays commissions based on group business volume. 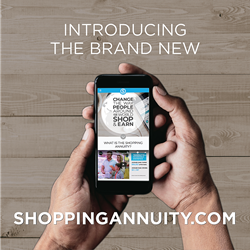 The Shopping Annuity features beneficial traits that stores do not — loyal customers, a profitable business opportunity and a sharing economy that includes its customers in the profit. Sarah Rose Stack is the Director of Business Integration at Market America | SHOP.COM. She is responsible for project development, marketing and communication for the UnFranchise Marketing Department. She has a BFA from the University of Massachusetts, Amherst and is still actively involved in the fine arts in her community. She and her husband are also business partners, actively building their Shopping Annuity and UnFranchise Business with Market America | SHOP.COM.